REAL® Run 2019 | Connect by JustRunLah! The pricing of your package will automatically be adjusted based on your residency status and membership status, as per the pricing table above. Your NRIC number is necessary to verify your residency and membership status. This information will not be used for any other purposes. This information is necessary to verify your residency and membership status, and will not be used for any other purposes. The Regular Exercise Active Lifestyle Run is an annual event, set out to promote a healthy and active lifestyle through the appreciation of our Home Team Guardians. As we celebrate Singapore’s Bicentennial in this 24th edition, we want to appreciate the Lifesavers (SCDF) and Protectors (SPF) who worked hand-in-hand to be the Guardians of Singapore. 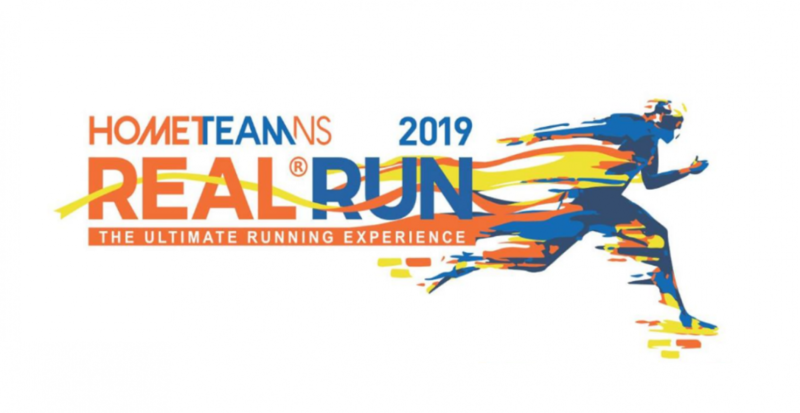 HomeTeamNS will launch a three-part series run, which will include a new bicentennial Virtual Run clocking 18.19km and a Training Run for 5km, in the lead up to our annual flagship REAL® Run in October. A virtual run is a race that you can complete at your own pace, time and running route. Runners have to complete 18.19km in (up to) three accumulative runs and upload a screenshot of your running app showing the map, time of run and km(s) ran. The training run is aim to acclimatise our runners as a leadup to the final race in October. There will be no flag-off time and timing mats. Participants can choose to come at any time within the stipulated window to complete their run. 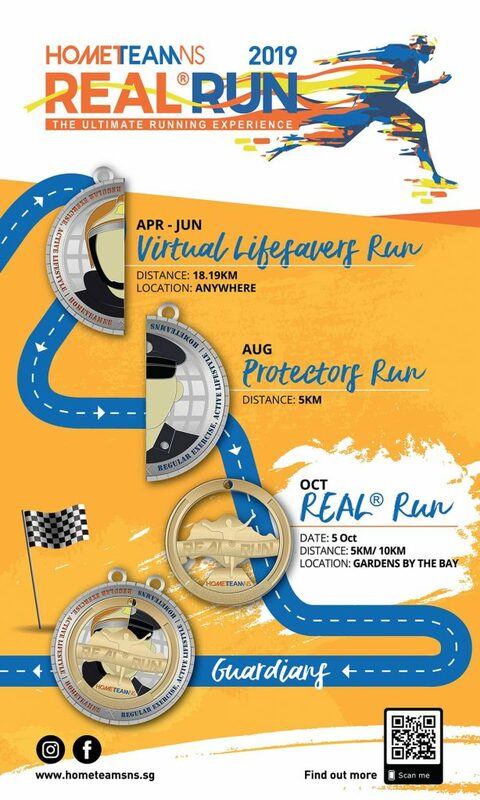 REAL® Run medal, Running Singlet, Race Pack, Race bib with timing system and Finisher Tee (10km only). 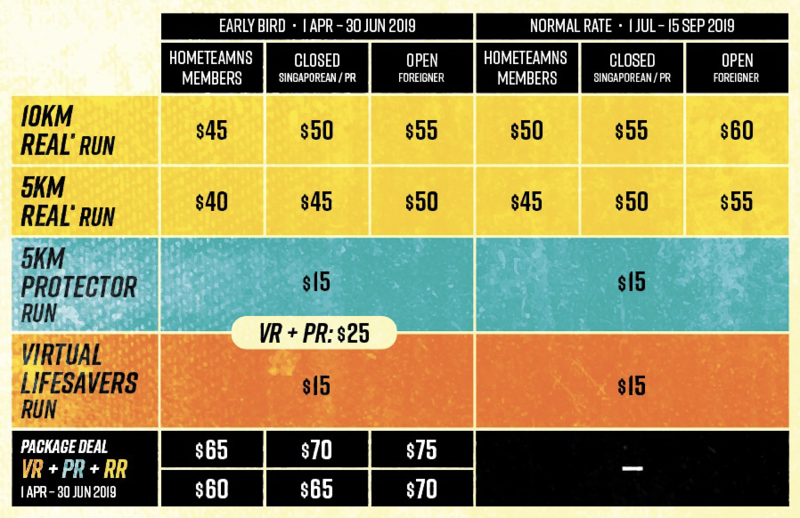 Participants will be entitled to one stand-alone medal for each run, where the three medals can be combined together to form a picture of the Guardians of Singapore. Use the form below to submit proof of your run (app screenshots) and claim your entitlements! Please enter the Registration ID that this upload refers to. The ID can be found at the top of the receipt email you received during registration. Please upload screenshot(s) of your running app showing the date(s) and distance(s) of your run(s). The minimum distance of 18.19km must be completed within (up to) three runs. You may select up to three files for uploading. Share a unique moment of your run with the rest of the community. * Photos uploaded here might be used for promotional purposes. Do not upload a photo if you are not comfortable with that. Please make sure the address is complete and correct so we can send your entitlements. Your street name, block number, apartment number and postal code must be included.